Create a cool and classic look in your living room or sitting area with this elegant upholstered loveseat. The piece features a high attached back cushion with rich button tufting, with sloped rolled arms, and deep welted box seat cushions for great comfort and style. 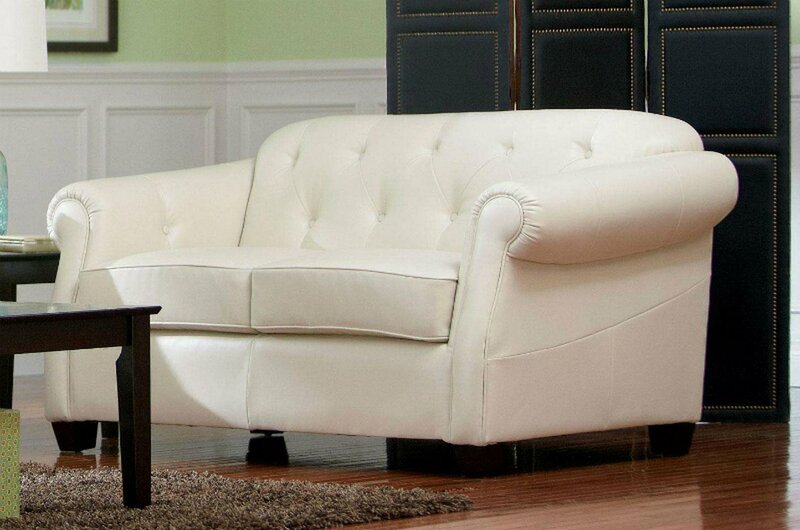 Covered in a soft and luxurious off white bonded leather, this loveseat is sure to complement your living room decor.